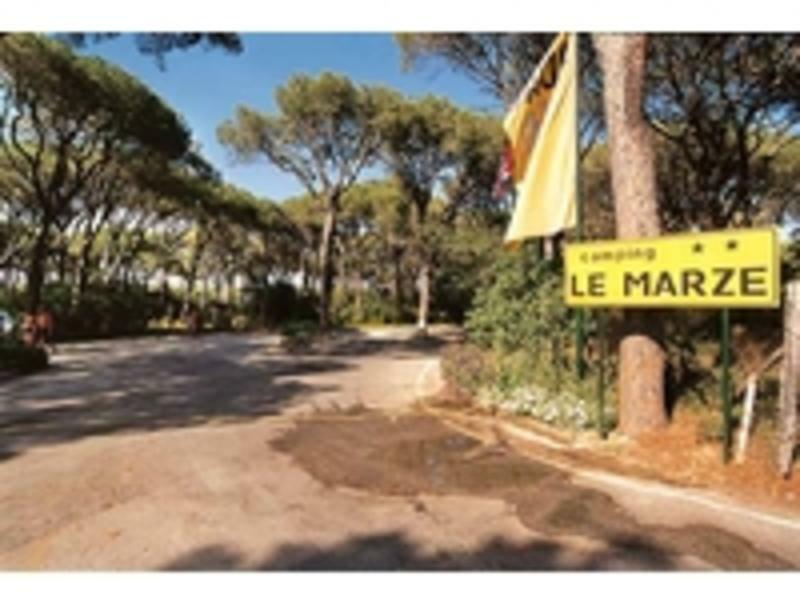 Set in the famous Maremma National Park and only a few minutes from Grosseto Train Station, Camping Village Le Marze is an ideal base to explore this beautiful area by mountain bike or by foot. It also has all the facilities to make your stay a memorable one! If the beach is your thing, windsurfing or just laying in the sun rocks your boat, then this place is definitely for you! Our premises is located in beautiful, incredibly thick pinewood. Here the yet-unpolluted nature explodes in an unforgettable mixture of smells, colours and sounds. You will never forget the night hooting of the curlew, and the day chirping of the cicadas. The camping's sandy beach is exclusively for the use of our guests, and it extends along one of the most beautiful shorelines in the Tyrrhenian Sea. If you book a no ensuite accomodation you are booking a comfortable HOUSE TENT with 4/ 2 beds. 4bed mix/private dorm is a tent with 4 beds. 2bed mix/private dorm is a tent with 2 beds. The accomodations are equipped with real, very comfortable beds. Blankets and pillows are included in the price and bed-sheets can be hired on site. When canceling a booking you must contact at least 24hrs before your check in day, otherwise we will charge the cost of one night's accommodation from your credit card as a cancellation charge. FROM GROSSETO TRAIN STATION TAKE BUS 14 DIRECTION CASTIGLIONE DELLA PESCAIA, AND GET OFF RIGHT IN FRONT OF THE CAMPSITE.